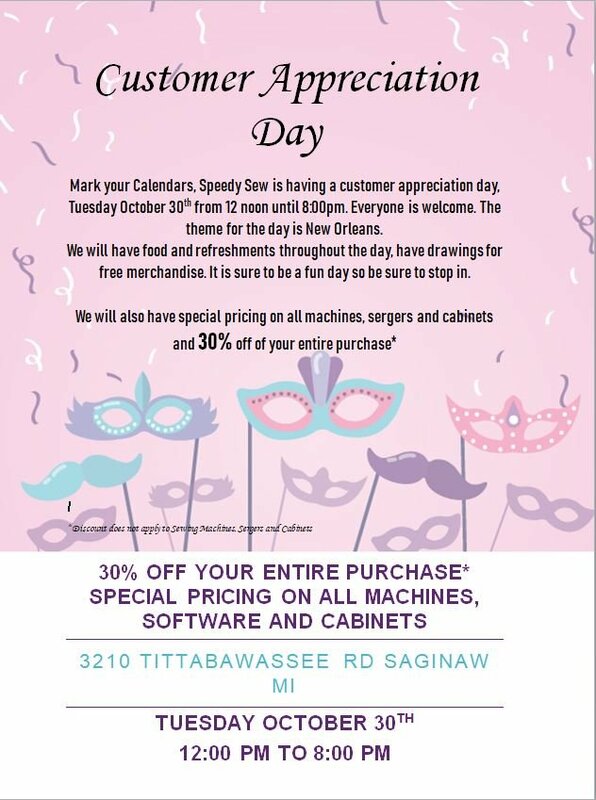 Speedy Sew Sewing Center has been providing the mid-Michigan area with a wide range of sewing equipment, embroidery supplies, and sewing education since 1983. As a family owned and operated business, we’re focused on offering exceptional customer service, as well as a family-friendly atmosphere where sewing enthusiasts of all styles and skill levels feel comfortable learning at their own pace. We also offer a wide range of creative project classes, personal training, and machine mastery classes. We’re a proud dealer of innovative, household sewing machines by some of the industry’s finest manufacturers, including Pfaff, Baby Lock, Husqvarna Viking and Janome. We offer competitive prices, outstanding customer service, life-time owner's classes and life-time open sewing sessions, along with an in-store service warranty for up to 5 YEARS with the purchase of every machine. 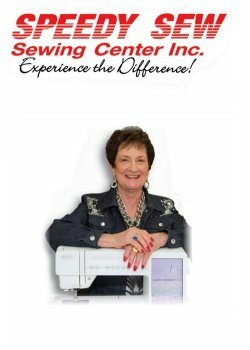 Our talented, knowledgeable staff is passionate about sewing and enjoys helping customers find the products and services they need to enjoy a fun and successful sewing experience! Copyright © 2007-2019 - Speedy Sew Sewing Center, Inc.